It’s not just Prime Minister Narendra Modi’s election campaign speeches that feature the Army. The Samajwadi Party, in its manifesto for the Lok Sabha Elections 2019, has promised to form an Ahir Infantry Regiment if elected to power. Bhim Army chief Chandrashekhar Azad has demanded that the Chamar regiment, formed during the World War 2, to be reinstated. The issue has come up outside the political arena too. Demands for such regiments are long-pending and questions related to these have been raised on many forums, including in Parliament and within the ministry of defence. The National Commission for Scheduled Castes, in its letter to then defence minister Manohar Parrikar, had raised the demand to reinstate the Chamar regiment. The question that then arises is: do these demands have some rationale or should we summarily reject them as casteist and divisionary? The concept of single caste or pure regiments came into being during the British era, which was based on their own categorisation – the warrior class. However, India continued with these regiments based on class and regions because of regimental history and ethos. It is pure misnomer that Indian Army is based on caste. It is important to note that only personnel from other ranks are recruited on a laid down structure but officers are not. There are both “mixed” and “fixed” class units like the Grenadiers or the Mahar Regiment. The 4 Grenadiers has two companies of Jats, one company of Muslims and one company of Dogras. Similarly, Rajputana Rifles has an equal mix between Rajputs and Jats, while the Rajput Regiment mainly has Rajputs and Gujars with Muslims and Bengalis. The other fighting arms like the Armoured Corps and Artillery also have several examples of “pure” units among them. However, “support” arms like EME, Ordnance, ASC, Signals are “all-class” units. 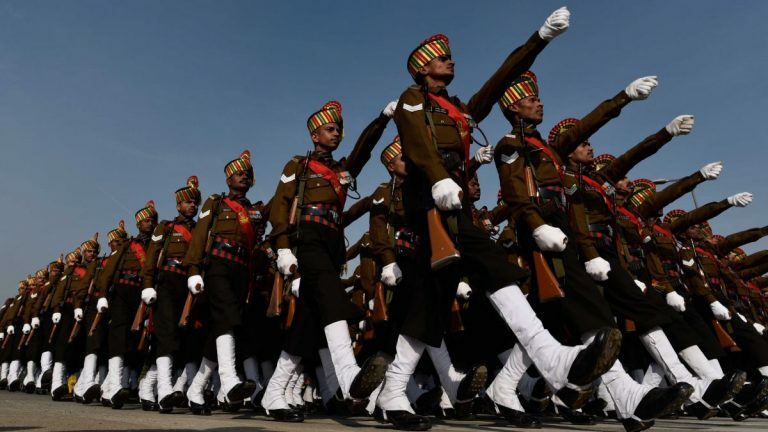 The Indian Army has several regiments and units named after caste, community and region — like Jat, Sikh, Rajput, Dogra, Mahar, JAK Rifles, Gorkha, Sikh Light Infantry and so on. It must be remembered though that caste- or region-based regiments are not for the entire army but portions of the fighting arms and some specialised units. President’s Bodyguard, a unit of Army, are still selected from only three castes — Hindu Jaat, Jat Sikh and Rajput. The Army has defended this practice in the Supreme Court citing functional requirements. So why can’t we have regiments like Ahir and Chamar and many more such units based on castes and communities? In the case of Ahir, the claim is based on the assumption that Ahirs or Yadavs are already present in the Army in good numbers and they have fought some of the most glorious battles for the Army. They cite the battle of Rezang La as an example of exemplary bravery. This battle took place in the Ladakh sector during the India-China war of 1962 and is considered “the only bright spot for India” in that war. The Ahir company of Kumaon regiment was asked to defend a creek overlooking Chosul airfield. On 18 November 1962, this company of 120 Ahir jawans, recruited from the Rewari region of Haryana, and an officer, Major Shaitan Singh, was attacked by a huge contingent of Chinese army consisting of around 5,000 infantry and heavy artillery. In the battle, 114 Ahir jawans laid their life, five were captured by the Chinese army and one was sent back to tell the story to the world. The battle of Rezang La inspired the Bollywood film Haqeeqat (1964) and also inspired the nationalistic song, Aye Mere Watan Ke Logon, written by poet Kavi Pradeep. In the recent Pulwama attack, in which at least 40 soldiers were killed, there were several from the Ahir community. The caste analysis of the Pulwama martyrs, carried out by a magazine, had raised many eyebrows, because the study revealed how Hindu upper castes, that are usually at the forefront of the masculine, nationalistic fervour, are hardly ever found among the martyrs. In southern Haryana, also known as Ahirwal (because of the high concentration of Ahirs), and also in eastern Rajasthan and western UP, large number of young men spend hours exercising in the fields and local akharas to prepare for recruitment in Army camps. The community of Chamars have a stronger claim for a regiment because they already used to have a regiment. Satnam Singh, a JNU scholar and author of ‘Chamar Regiment Aur Uske Bahadur Sainikon Ke Vidroh Ki Kahani Unki Jubani’, says that there is no reason, moral or logistical, to not reinstate the Chamar regiment. His book documents how the regiment was raised in the Meerut Cantt on 1 March 1943 and why it was disbanded by the British government in 1946. Before its formation, the Chamar regiment functioned as the 27th battalion within 2nd Punjab Regiment. Citing literature from the British Indian Army, Singh says that this regiment was raised under a new policy to recruit infantrymen from the communities that were traditionally not recruited. This regiment was sent to the eastern front during World War 2 and earned many accolades. The first battalion of Chamar regiment fought in the battles of Rangoon, Imphal and Kohima with 42 jawans laying their lives. Seven soldiers of the battalion were awarded battle honours while the battalion as a whole was awarded the Battle Honour of Kohima. Three regiments of the Dalits — Mahars, Chamars and Majahbi Ramdasia — took part in WW2. Mahar regiment continued to be the part of the Army and Majahbi and Ramdasia regiments were renamed as Sikh Light Infantry. But the Chamar regiment was disbanded with one of the arguments being that the jawans of this regiment had deserted the British army to join the Indian National Army of Subhash Chandra Bose. Later, some jawans revolted against the decision to disband the regiment, even as 46 of them were arrested for taking part in the rebellion. The demand for the reinstatement of the Chamar regiment never died, documented in Satnam Singh’s book. The rationale for Ahir and Chamar regiments stems from the fact that after the Independence, the Union government decided to continue with the caste- and community-based Army formations. No such regiment was disbanded even though no new regiment was formed. The argument for continuing with the caste-based regiments is that they enhance cohesion. It’s debatable whether this is a valid argument in a modern world and in a secular democratic country. But until this remains the government’s policy, the demand for new caste-based regiment will also exist. In a way, it is sadly the government that is proving to be the source giving rise to such demands.